Our XPRO tents are commonly used in catalog photography for imaging highly reflective objects such as plastic, glass, and metal. 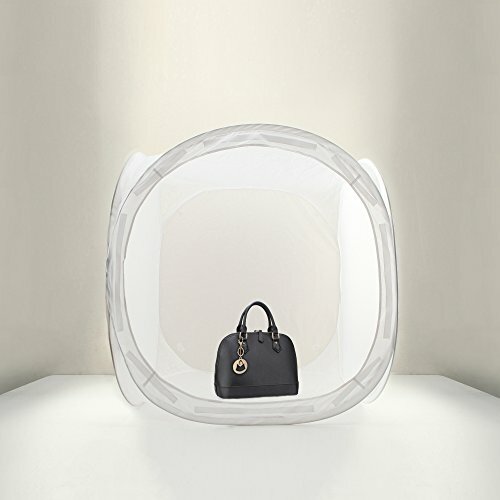 The light tent can also come in handy when an "ultra soft" lighting effect is needed. Illuminated from the exterior of the tent, the XPRO tent acts as a diffusion room surrounding the subject with soft diffused light which reduces unwanted glares. Reflective objects are best imaged in side of the tent because the surround environment inside the tent prevents image reflections of the room and the photographer. Our Light tent is a perfect studio device that anyone can master and produce catalog style images just like the pros.